Hi Friends! I am so excited to be joining you today from A Cup Full of Sass. 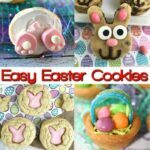 There I share recipes, crafts, DIY’s and fashion. 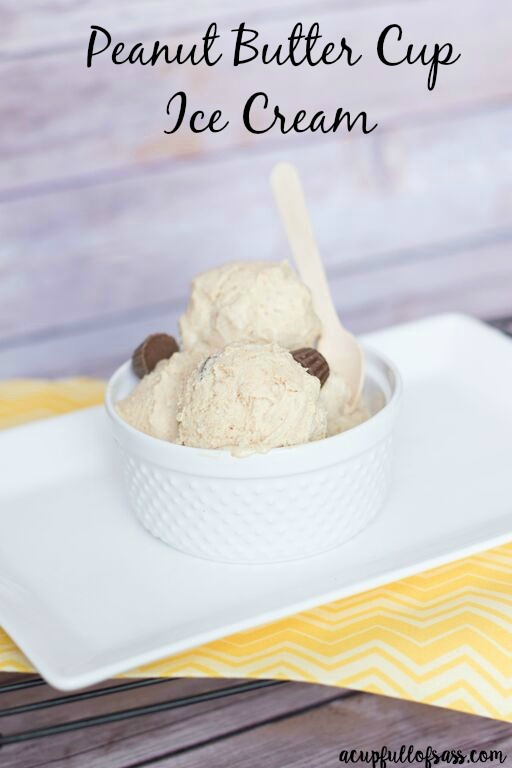 Today I am sharing one of my all time favorite ice cream recipes with you. 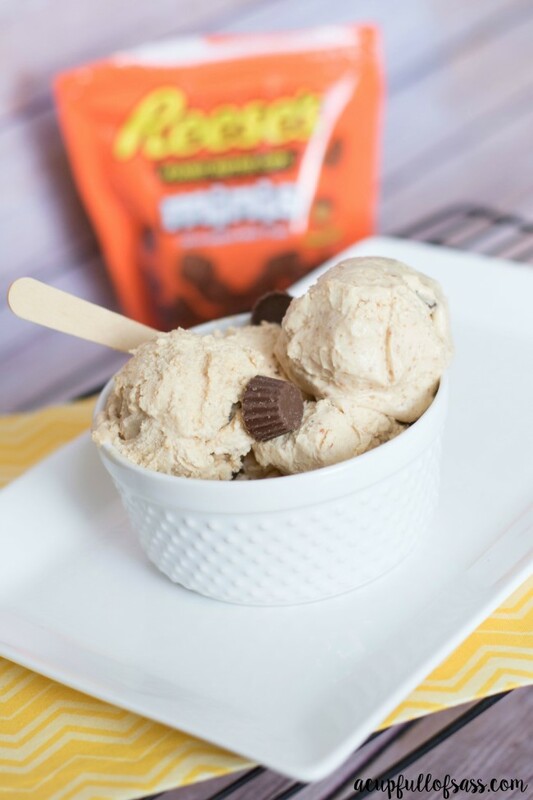 Peanut Butter Cup Ice Cream is just amazing! And now you can make it at home. If you don’t have an ice cream maker, you need to get one. The one I use is a Cuisinart. Seriously, I use mine all the time in the summer. My kids love it! This recipe is so easy and only takes 20 minutes. With a mixer, mix milk and sugar in bowl until sugar is dissolved. Next add vanilla and heavy cream. Once mixed well pour into ice cream maker. I use a Cuisinart Ice cream maker. After it’s finished you can put the freezer bowl back into the freezer to give it more time to harden up. 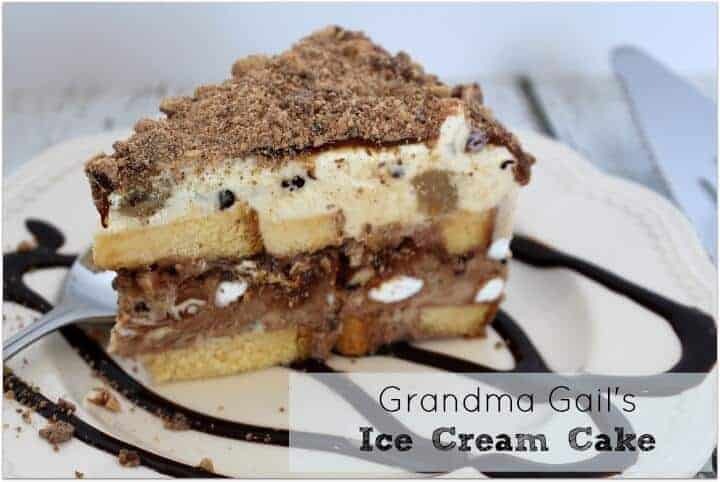 If you like softer ice cream serve immediately. 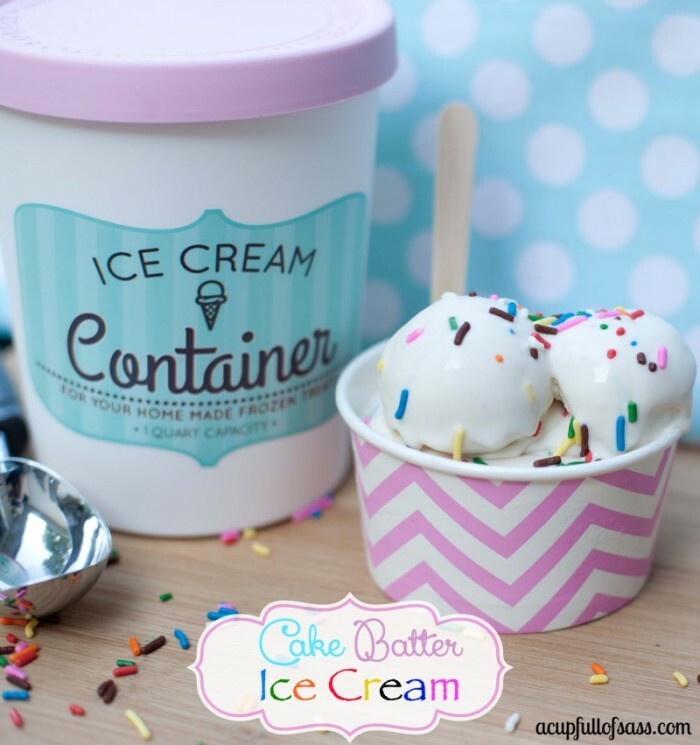 Another one of our favorite Ice Cream Recipes is my Cake Batter Ice Cream. You can find it here. 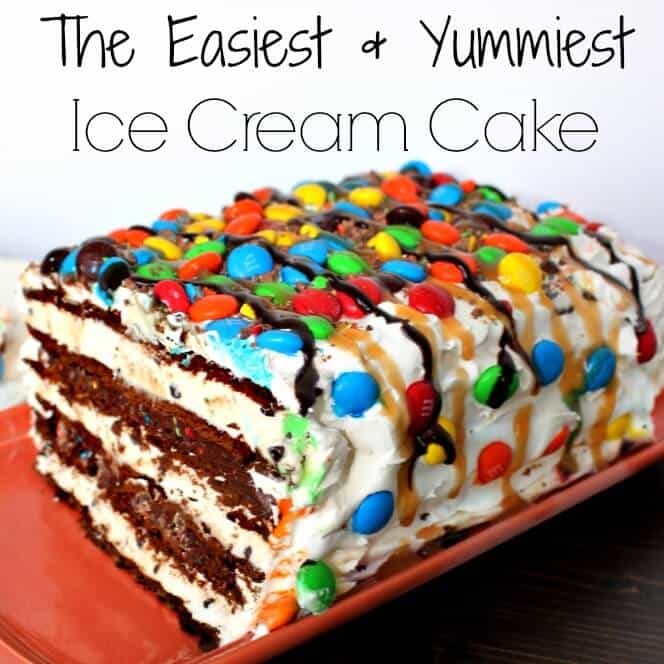 Looking for some other easy dessert recipes? Just click on the pictures below!